It is very important to know the behaviour and interest of each email subscriber in order to send personalised email campaigns. You can easily upgrade/ downgrade your email subscribers from one list to other who actively click the link in emails. 1. Start creating a new email campaign for the email, for this, click on “Create New Campaign” option from the left side of the screen, select a Regular / Autoresponder/ Event Based campaign. 2. 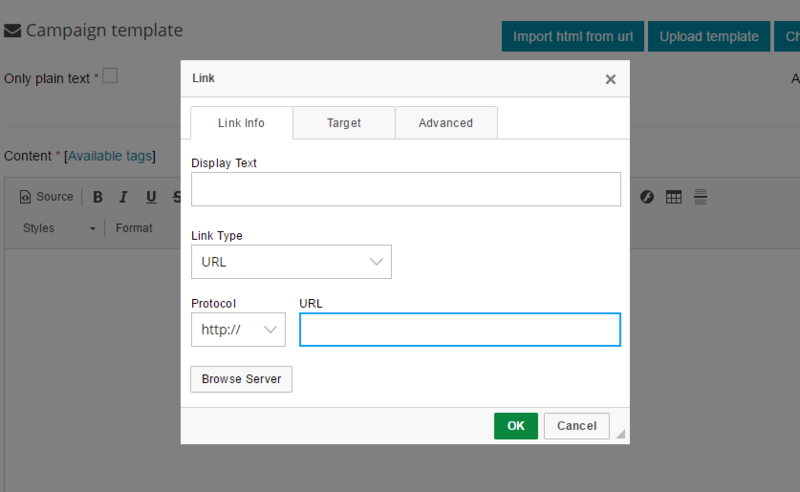 On next screen at campaign template page, create a template, add the hyperlinks to the email template, select “Link” option and browse the link which you want to the subscribers to click and below the email template editor, click on “Save Template Changes”. 3. After this, you will find “Actions Against Subscribers upon link click” icon. 4. Click on “Add Action” option. 5. Choose the URL, Action and To List accordingly. Finally, save and go to next step and send the email campaign. Result: Once you have sent this email campaign, then the subscribers who clicked the link in this email will be moved / copied to the defined “List” from above setup.